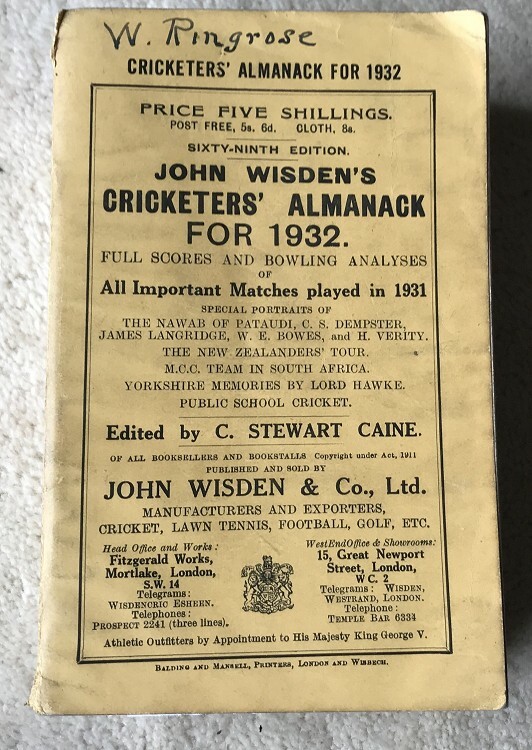 This lot is an 1932 Original Paperback Wisden. The covers are nice and square, clean and presentable with minimal marks but there is a name of W Ringrose to the top. Internally the book is very clean. A nice straight spine, fabulous for the year. Excellent photoplate. Some minor dog ears to the odd page. The spine paper is 100% original and nearly complete, some wear to the edges of the spine cloth corners, a fine example of a 1932 spine paper. Great photoplate.